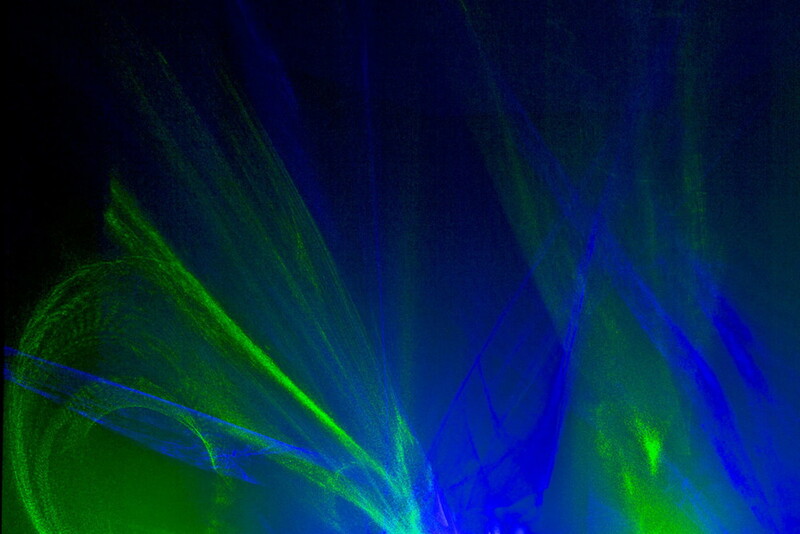 Artists have used light for as long as colour has required its frequencies. Change the frequency and you change the colour. Photo-based artists know this and will often speak of its science. Painters have long known this, and you see it played out from Lascaux to the Louvre. A contemporary artist who uses light (to sculpt, no less) is L.A.’s Diana Thater, whose green-to-blue vertical stripe climbs and descends Vancouver’s Shaw Tower at dusk and at dawn each day.A more recent example is Bentley Meeker. The proprietor of Bentley Meeker Lighting & Staging, Meeker was born in Virginia in 1967. After a childhood spent shuttling between the US, the Bahamas and Canada, he dropped out of school at 14 to join his father in New York City. There, he worked as a photographer’s assistant before formalizing his education through film classes at Hunter College. In 1990 he formed a company that now mounts more than 1,000 productions per year, from his three-peated illumination of the Temple at Burning Man to a solo exhibition at the prestigious Whitney Museum of American Art. In 2017 Meeker was invited by Penticton Art Gallery director/curator Paul Crawford to contribute to his audacious #grassland exhibition. Meeker responded with #weedworld (2017), a monochromatic projection of various-sized marijuana leaves onto four glass walls. More than mere spectacle, #weedworld brought to mind the black-light stoner culture of the baby boom generation, but also, in typical stoner fashion, a parody of the floral patterned wallpaper of British artist and activist William Morris (1834-1896). The #grassland audience screamed for more, and Crawford brought him back – this time with an album’s worth of material.